Is that default Linux look getting you down? Want more from your Linux desktop than GNOME, KDE, or MATE? Fortunately, Linux is the most configurable operating system around, so personalizing the appearance of your desktop is easy. Various tools, tricks and tweaks can be used to personalize your Linux desktop. You might simply want to swap out a few familiar desktop utilities, or change your theme. You might even install a brand new environment. Get started tweaking the look of your Linux desktop by changing the key desktop utilities. Several such apps are available, but we’re going to look at the three most common: the file manager, the window manager, and the sidebar or panel. Whether you’re looking for something with a different look, or simply something more functional than GNOME Files (formerly known as Nautilus), you have a few options. Konqueror, Midnight Commander, or the KDE Dolphin tool are all strong alternatives. If you’re looking for something as simple as GNOME Files, however, try Thunar, or PCManFM. Changing the actual windows in your Linux distribution is also an option. The placement and appearance can be adjusted with a new window manager. Choose from Compiz, Metacity, Kwin, Mutter, and many others. While a new window manager will let you adjust your panel, you might also try a macOS-style dock. This can be implemented using Plank (this comes with several dock themes), or Cairo-Dock (also known as Glx-Dock). 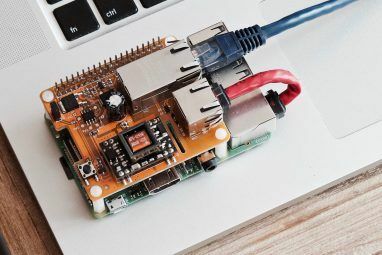 Take a look at our list of Linux dock software 5 Power Docks For Your Linux Machine 5 Power Docks For Your Linux Machine Perhaps you've switched to Linux from macOS; or perhaps you just like the idea of a dock. 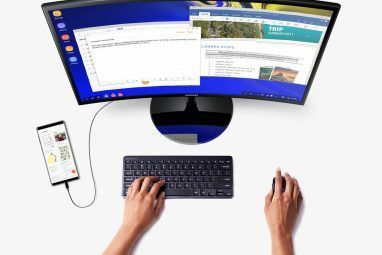 Whichever it is, these five desktop docks for Linux will help you to improve your productivity. Read More for more suggestions. Further changes can be made to your Linux desktop. One of the built in options is to change the desktop theme. For instance, you can easily change the desktop background, or wallpaper. In Ubuntu, use the Appearance setting to do this. You can the follow this with a change to icons and fonts (see below). Note, however, that how you change your desktop may affect your mood, and as a result, productivity. While a light desktop theme might give you encouraging vibes, darker themes are more suitable for gaming PCs. Many replacement icon packs are available for Linux, typically themed to give a specific feel. For instance, if you want to replicate the feel of Android’s Material Design, you can input similar “flat” icons such as the Luv icons theme. Finding the right icon pack can take some time. Often, the first icon pack you find doesn’t fit with your planned desktop theme, despite looking amazing in isolation. Get it right, however, and you’ve got a stunning new look for your Linux desktop. If you’re changing the look of your PC, switching to a new font is a good idea. But it doesn’t always work out right. A new desktop font should be clear, subtle, and almost unnoticeable. Ostentatious fonts typically leave you with an overcrowded, ugly desktop. You can find new fonts online at sites like fontsquirrel.com, a library of free and open-source fonts. Wherever you go, ensure you download your fonts to the /.fonts/ directory, which you should create in your Home directory. After extracting the TTF file into the /.fonts/ directory, you can select the new font by right-clicking the desktop. Select Change Desktop Background > Fonts and choose the new font in the dropdown menu, then click Close to confirm. If you want to use a font from your Windows PC, see our guide to using Microsoft fonts in Linux How to Install Microsoft Text Fonts in Ubuntu Linux How to Install Microsoft Text Fonts in Ubuntu Linux Windows-based fonts don't appear by default in Linux. This isn't really a problem, but if you want better compatibility or just like the look of them, we've got you covered. Read More . Although ostensibly a system monitoring tool, Conky also supports a number of stunning themes and widgets. This lets you reskin your desktop, adding stunning new elements for a truly personal Linux environment. For instructions, tips and ideas, check our guide to customizing Linux using Conky Make Your Linux System Awesome With Conky Make Your Linux System Awesome With Conky Ever looked at your Linux desktop and thought, "I could definitely make this better"? One great option is Conky, capable of displaying everything from new themes to pleasantly-styled CPU temperature data. Read More . If Conky doesn’t bring you the fresh new look you need, it’s probably time to install a new desktop environment. So many are available, but you might have trouble with some; not all are compatible with every Linux version. The solution isn’t as scary as you might think. 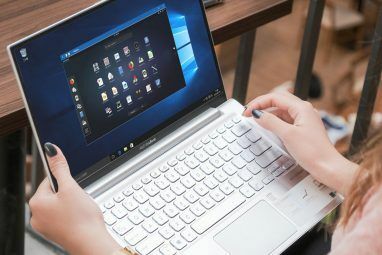 While there was a time when swapping to a new desktop environment was fraught with difficulties, these days it’s a lot simpler. As long as there is a version of the desktop for your distro you should be fine. Note that you will need to run a web search for the specific details for each desktop environment. 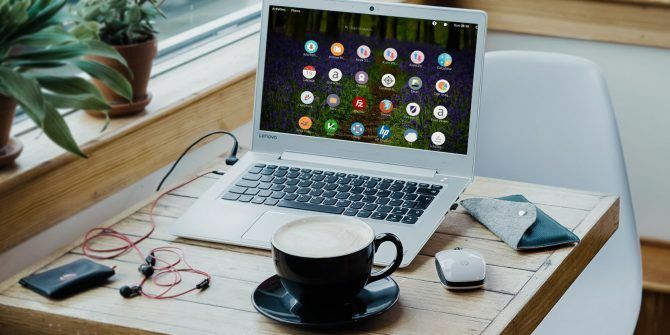 Our list of best Linux desktop environments The 12 Best Linux Desktop Environments The 12 Best Linux Desktop Environments Picking a Linux desktop environment can be difficult. Here are the best Linux desktop environments to consider. Read More will give you plenty of options, as will our round up of lesser-known Linux desktop environments 5 Great Linux Desktop Environments You Haven't Heard Of 5 Great Linux Desktop Environments You Haven't Heard Of There are lots of Linux desktop environments out there -- including some great ones you probably haven't heard of. Here are five of our favorites. Read More . Linux is incredibly flexible in so many ways. Making your desktop environment look the way you want, either for aesthetic or productivity purposes (or a combination of the two) is straightforward, and usually quick. The steps above should let you reconfigure your desktop to look the way you want. If it doesn’t, you have alternatives that you can install in just a few minutes. If you still can’t get your desktop to look the way you want, perhaps it’s time to try a totally different version of Linux? See our list of the top Linux distributions The Best Linux Operating Distros The Best Linux Operating Distros The best Linux distros are hard to find. Unless you read our list of the best Linux operating systems for gaming, Raspberry Pi, and more. Read More for suggestions. Explore more about: Linux Customization, Linux Desktop Environment. I'm using Mint 17.3 and couldn't get a decent slide show desktop to work. I installed wallch and it works very well. Installing utilities not native to your DE will result in the installation of many dependencies (possibly hundreds of megs worth). To keep my Backgrounds and Wallpapers interesting, I delete the contents of /usr/shr/Wallpapers directory and replace it with a copy of my Pictures directory. Then I set up both the System Logon Background and user logon background to Slide Show. Every time I logon onto the system and into my userid, I have a new wallpaper. My Pictures directory is half and half images I downloaded and Pictures I have taken. "4. Reskin Your Desktop With Conky"
I find conky to be distracting. However, I know of people who have their entire screens covered with various conky output. "5. Replace Your Desktop Environment"
If you are an Ubuntu addict, you can also install an entirely new distro with the DE that you prefer (Xububtu - XFCE, Kubuntu - KDE, Lubuntu - LXDE, Mint -MATE, etc) In that way you may avoid the incompatibility problems. I have found gkrellm to be my favorite system monitor over Conky. Less distracting. Yep; couldn't agree more Another thumbs up here for gKrellM. The desktop font is a lovely one I found on FontSquirrel about 4 months ago; 'Exo 2'. Icons are an eclectic mix, culled from 100's of Google/Duckduckgo searches over the years. Where I can't find what I want on-line, ready-made, I'll find all the necessary bits'n'pieces.....and make my own. The row of drive icons along the bottom is standard to all Pups. I've liked using Variety for not only changing the wallpaper from different sources, including the Bing Picture of the Day. I like how I can have the pictures automatically be turned into black & white which makes color schemes easier and more consistent. It can also include the date and time as well as famous quotes. That's what I use to help make the desktop look nice. I use it predominantly with Xfce but it would work well in Gnome or any other desktop environment (haven't tried it with KDE yet).